DOTmed.com - Are you putting your patients at risk? 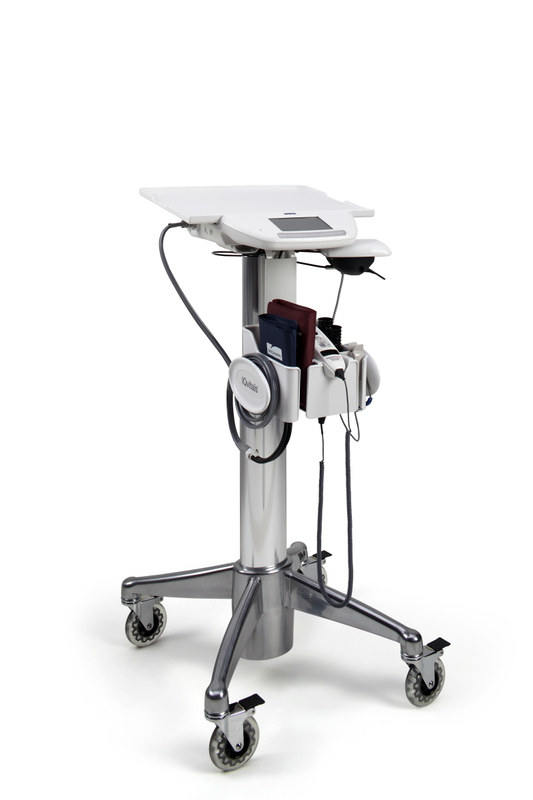 Midmark recently introduced IQvitals® Zone™, the industry's first diagnostic device to feature Bluetooth® Low Energy technology that allows caregivers to effortlessly and securely connect their tablet or laptop to the device when vitals acquisition is initiated. 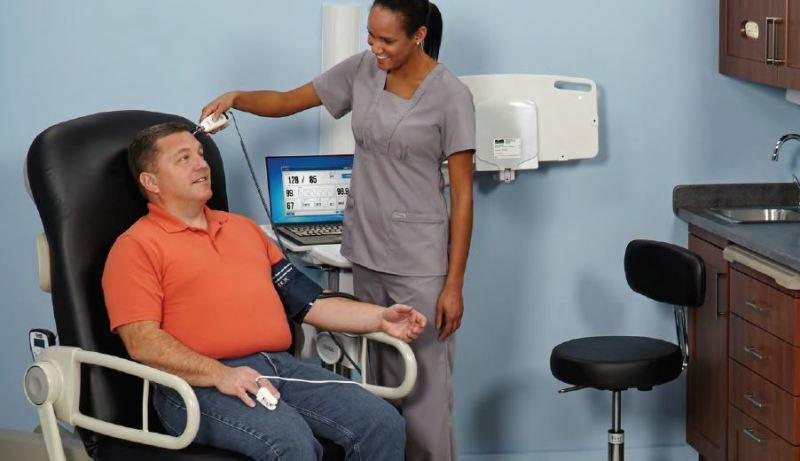 IQvitals Zone changes the traditional workflow in vitals acquisition by establishing a direct wireless connection between vital signs measurement and the caregiver's tablet or laptop - requiring no cables or manual pairing. 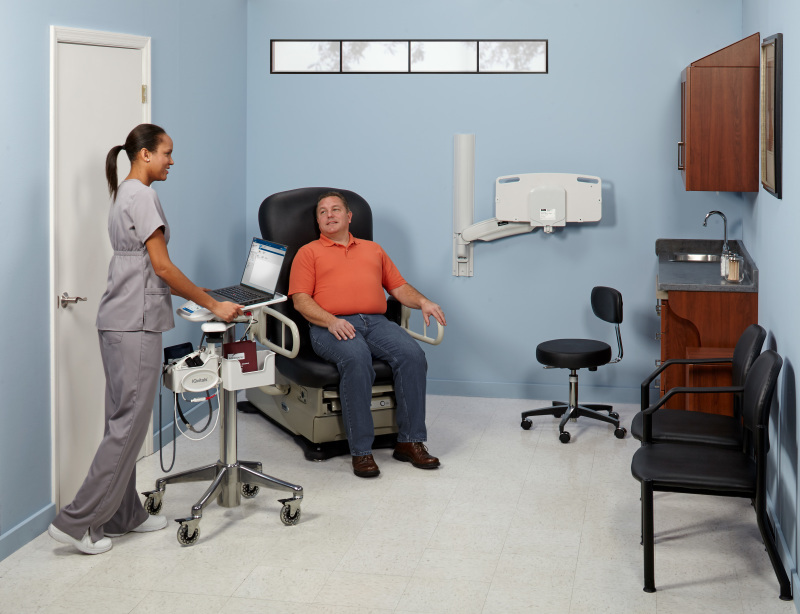 When the equipment is connected, caregivers can take patient vitals, review results and seamlessly import the information to an electronic medical records (EMR) system directly from their laptop or tablet. By centralizing the vitals process at the point of care, IQvitals Zone reduces the need to move patients through different stations to capture vital signs information, saving time and reducing risk of patient falls. It also allows caregivers to easily move from room to room and be instantly and wirelessly connected to the vitals device. More information about how IQvitals Zone brings the industry one step closer to a connected ecosystem can be found in the new white paper,"Zone Technology: Connecting Vitals Acquisition within the Point of Care Ecosystem" on the Midmark content and news library.